Dr. Gillespie is excited to have Christy join the Broadway team. 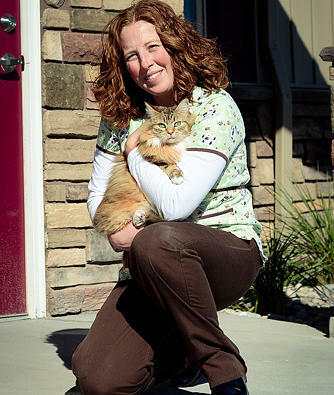 Prior to working at Broadway Veterinary Clinic, Christy spent time at other local veterinary clinics in Idaho Falls. 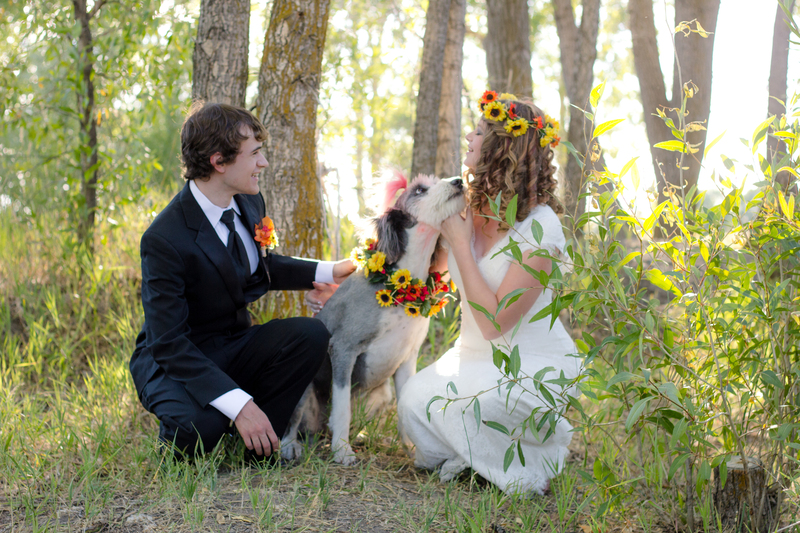 Her previous experience includes both client service and veterinary assistance work. Christy does hold a Bachelor degree in Animal Science from the University of Idaho, go Vandals! Christy also attended San Juan College and is very close to finishing her vet tech degree. Christy brings her amazing work ethic which she learned while growing up on the farm in Idaho. When not at work she enjoys spending time with her family snow machining or riding dirt bikes. Even though we don't see cows at Broadway Veterinary Clinic, Christy says they are her favorite animals as she spent many hours raising and showing them on the farm. Dr. Gillespie is excited to have Kaitlyn on the Broadway team as their Certified Veterinary Technician. Kaitlyn spent some time away from Idaho Falls as she obtained her Associates Degree in Veterinary Technology from the College of Southern Idaho in Twin Falls. 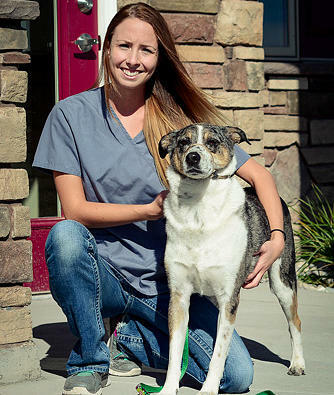 Kaitlyn was also able to pass the national board exams and become a Certified Veterinary Technician, which isn't required in Idaho but shows her dedication and determination to making sure all pets treated at Broadway Veterinary Clinic are treated properly. When not in the clinic, Kaitlyn enjoys spending time with her new little family, and friends. Kyra came to Broadway Veterinary Clinic to work on her senior project. After finishing the project she stayed and joined the team as a Veterinary Assistant. Kyra graduated from the Idaho Falls Compass Academy this spring and plans to attend BYUI this winter. She will be enrolled in the Animal Science track at BYUI and her ultimate goal is to become a Certified Veterinary Technician. Kyra is the oldest in her family, she has 3 brothers and 1 sister. Her love of animals comes from her background at home. Kyra and her family have goats, pigs, sheep, cows, chickens, turkeys, cats, 4 dogs, and 1 lizard.